Some people say that golf is the most fun game they have ever hated. I think photography is much the same. This Thanksgiving weekend, I took more than a hundred pictures and came back with only one or two that I like. These are the Christmas lights on Temple Square in Salt Lake City. 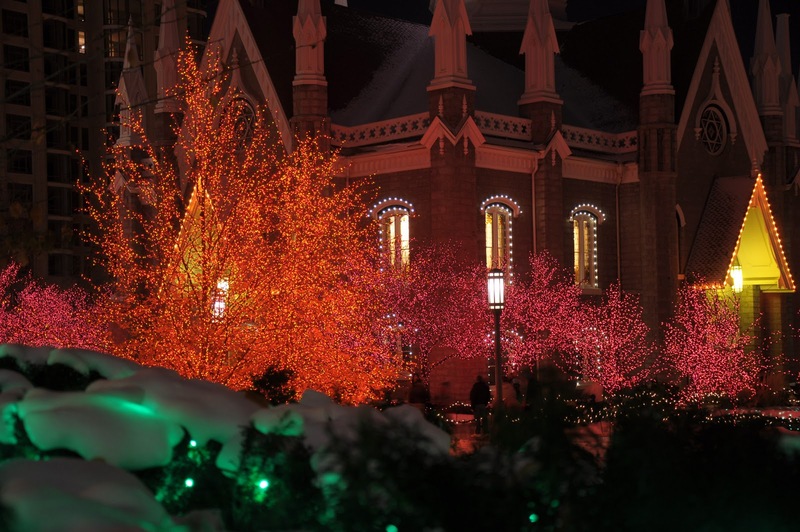 The Assembly Hall is in the background. 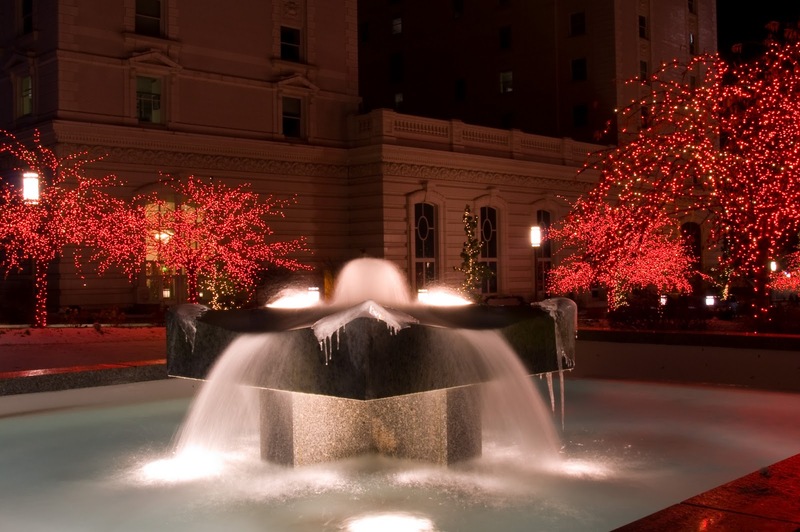 The second picture is a a fountain on Temple Square. As you can tell, it was quite cold. The slow shutter speed enhances the icy appearance. Your photos turned out wonderful! You'll be able to take pictures for a food magazine pretty soon. One out of a hundred pictures is pretty typical.....we've gone up to Leavenworth to take photos of the Christmas lights three times, and still haven't come back with a "keeper".....but it's fun anyway. Rob, I am very impressed. You have a good eye for composition. I am impressed with your use of shutter speed to add some beautiful qualities to your images.